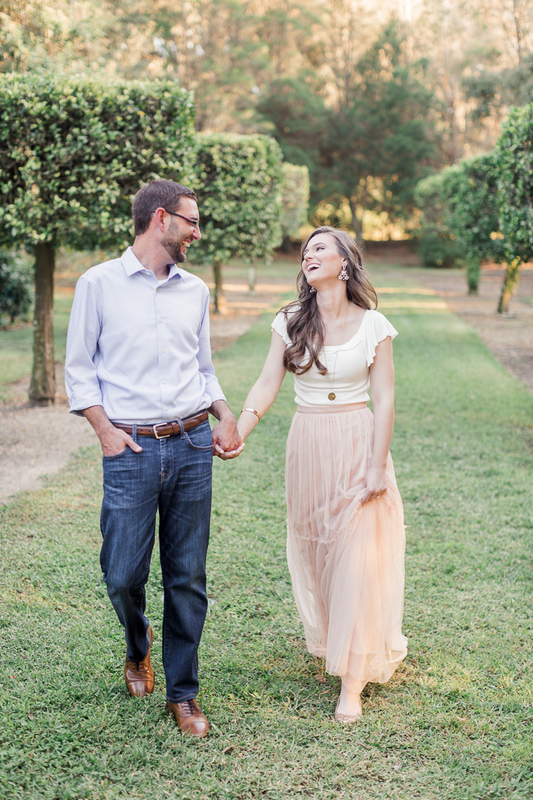 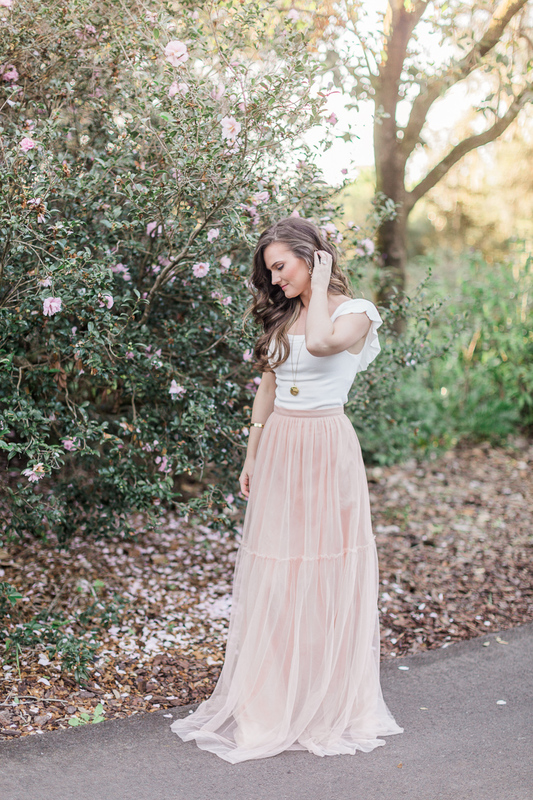 Romantic Garden Engagement featured on Coastal Bride! 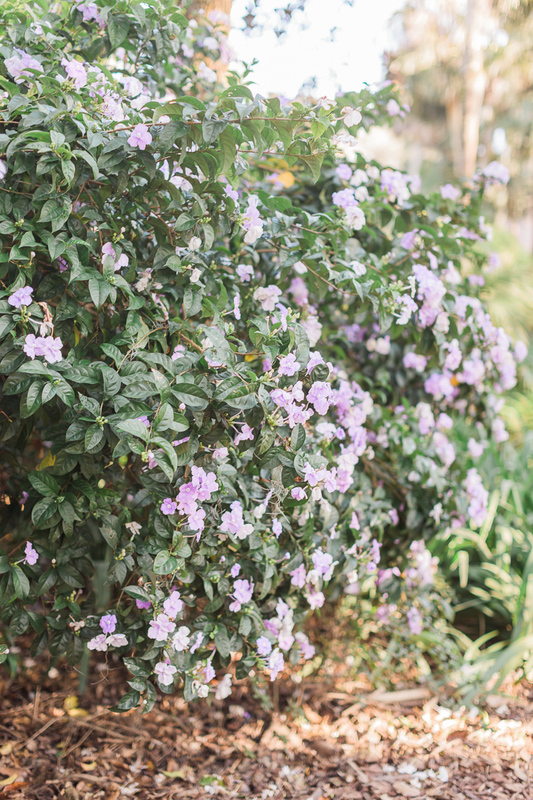 Bok Tower Gardens nestled in Central Florida, has quickly become one of my favorite location's! 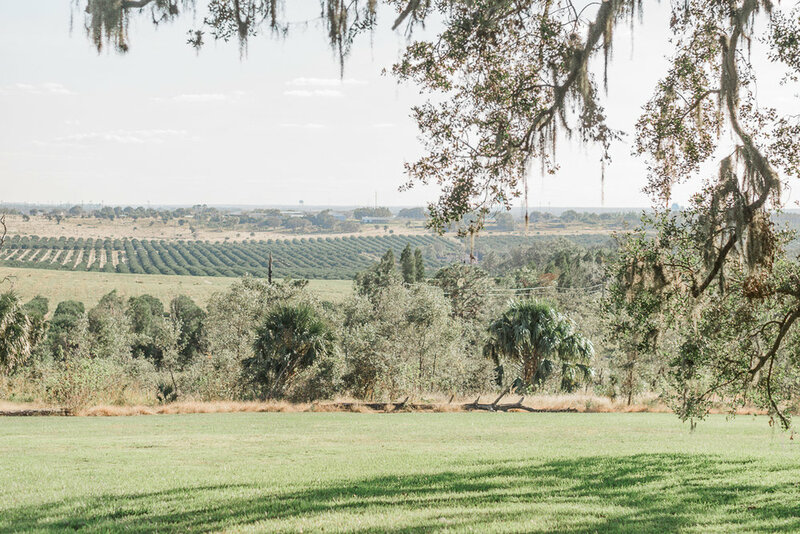 With it’s romantic gardens, sitting a top a hill with Tuscan-like view's and rows of orange groves, made it the perfect place for Elena & Bryan’s engagement session. 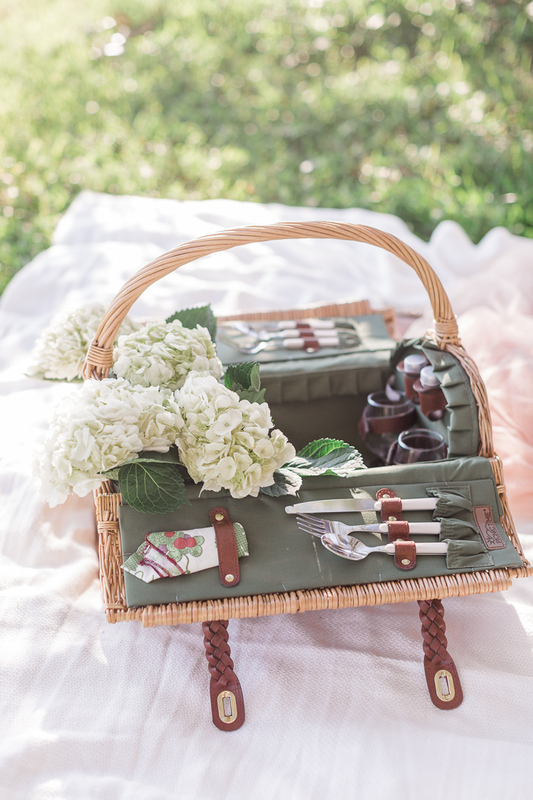 They brought along an adorable picnic basket filled with hydrangea’s and had a champagne toast to celebrate the occasion!